Setting the environment for developing Samsung Smart TV application. Once you have finished testing and debugging your application on the emulator, it is time to upload Samsung Smart TV applications to a TV set for testing on a full target system. 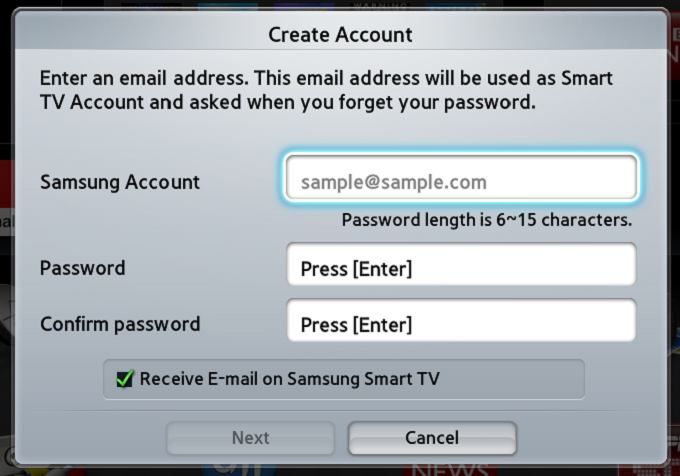 The functionality of a Samsung Smart TV application can be easily tested using the emulator. The results of any code change can be viewed immediately, thereby enabling incremental development. However, note that the emulator is never an exact simulation of the TV as it runs on different hardware. 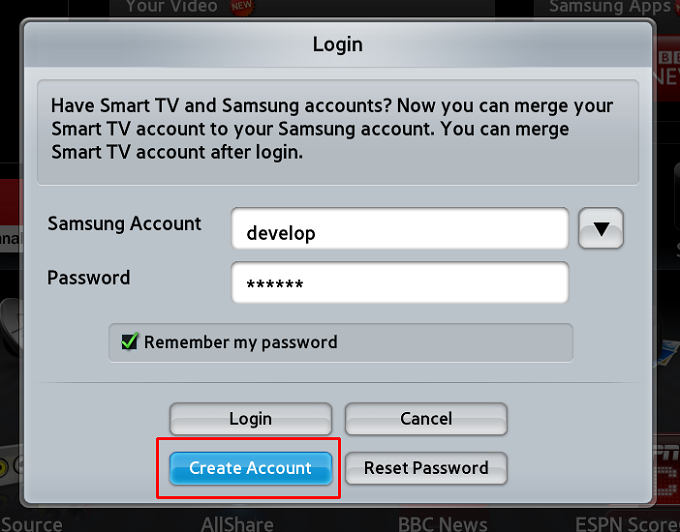 Therefore, to be certain of how an application will behave, you must also run it on a Samsung Smart TV. Less memory is available; therefore an application may run out of memory. A real TV picture can be seen and the blending of widget graphics over a TV picture can be evaluated. The response to remote control keys may have a different timing; therefore the responsiveness to user key presses must be separately tested. Applications uploaded directly from the development PC to a TV set are known as User Applications. The Smart Hub’s User Application feature allows developers to upload applications from the local server directly to the TV for testing, without affecting other users of Samsung Smart TV. To use this feature, follow the instructions below to to set up the a development computer and a TV. Manually install Apache (version 2.2.11). If you wish, you may also use a different web server. 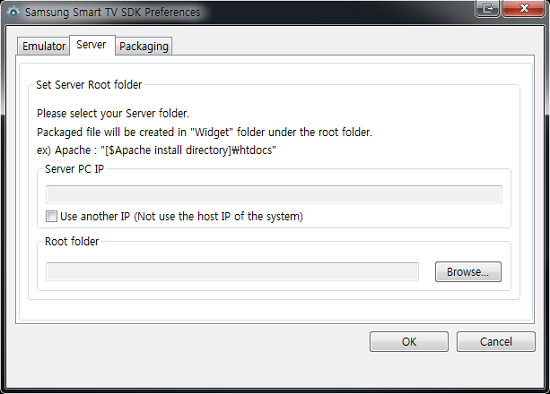 Select the Samsung Smart TV SDK Preferences option from the Samsung Smart TV SDK. Use the Browse button to select a folder that is either directly accessed by a web server or another directory where files can be stored for later uploads (for example by FTP). 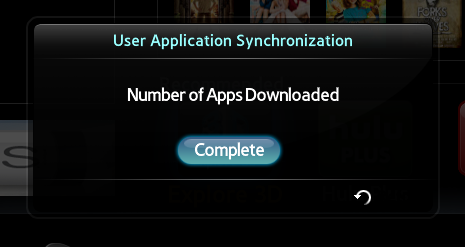 Before packaging applications for uploading to the TV, you must first develop and test the application using the emulator. For information on packaging AIR applications for Flash, see Using Adobe AIR in TV Applications. 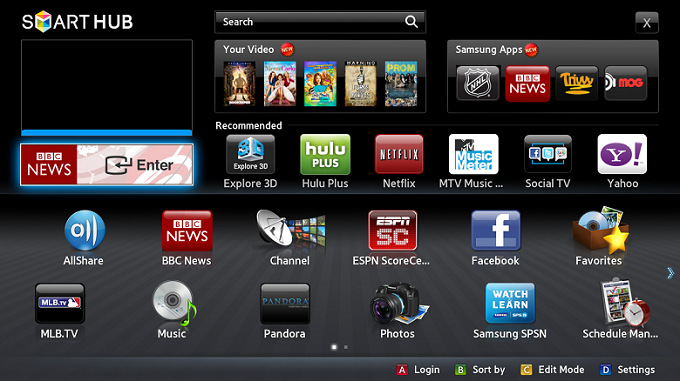 Click the App packaging button at the Samsung Smart TV SDK of the menu. 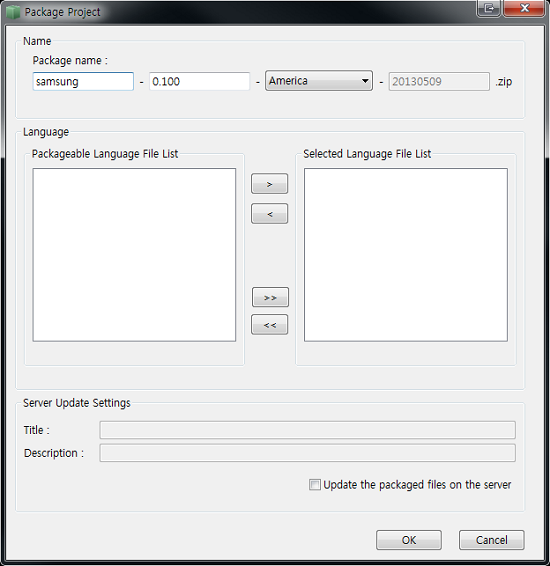 A Packaging dialog box is displayed (see the figure below). These settings determine the file name that is used for the package. Select menuselection: Update the packaged files on the server , and enter a title and description for the App (see the figure below). Click OK. The message Packaging complete is displayed. If you are using the the default installation folder, the packaged application is on the Apache web server. Multiple applications can be packaged and stored on the web server to be uploaded together. Give each each one a description in the widgetlist.xml file and store the files for each in the widget folder. Connect the TV by Ethernet cable to an IP network that has access to the web server where the packaged application is stored. In the TV Settings menu, select Network, and enter Network Setup. Choose either automatic configuration (for DHCP) or manual configuration (for fixed IP address). For manual configuration, enter IP address, subnet mask, and gateway and DNS servers. To see that the network is functioning correctly, select Network Test. If the test fails, contact your network administrator. If the test succeeds, the TV is correctly connected to the network. Press the Return key to go back to the menu. 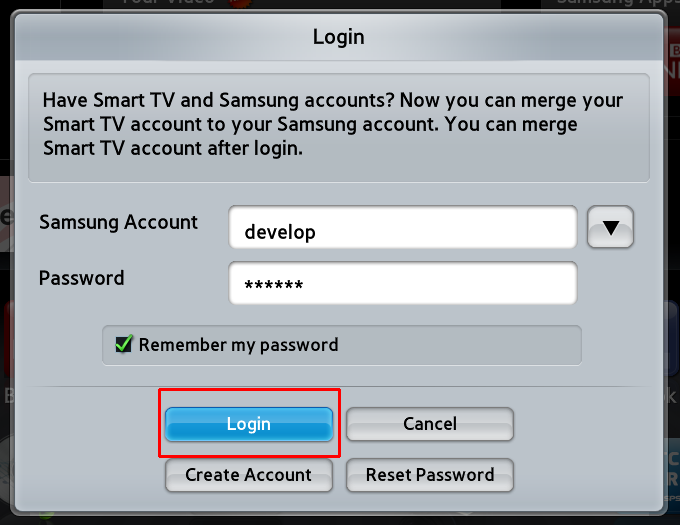 Ensure that the TV country is set to a location where Samsung applications on Samsung Smart TV are used. (see the figure below). Click Samsung Smart TV to display the Samsung Smart Hub. Click Login (see the figure below). Press the SMART HUB button on the remote control. To activate the User Application feature, set the login name (Smart Hub ID) to “develop” and select Create Account (see the figure below). In the Create Account window, enter the name “develop” using the numeric keys on the remote control (similar to the numeric keypad on a mobile telephone) and select OK (see the figures below). Choose a 6~12 digit password (there are no specific password rules) and select Create Account (see the figure below). Select Login to log in to the “develop” account. (see the figure below). If the login is successful, the develop icon is displayed at the bottom-left corner of the screen. Click Settings to enter settings. 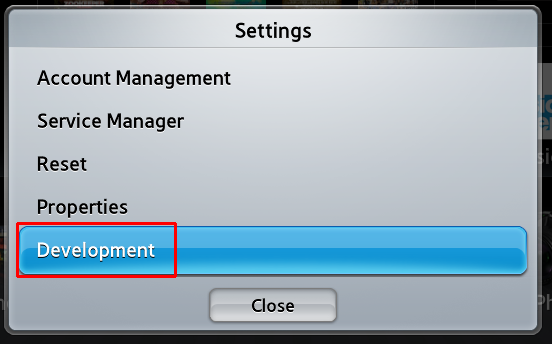 A new option, Development, should appear at the end of the Settings menu. 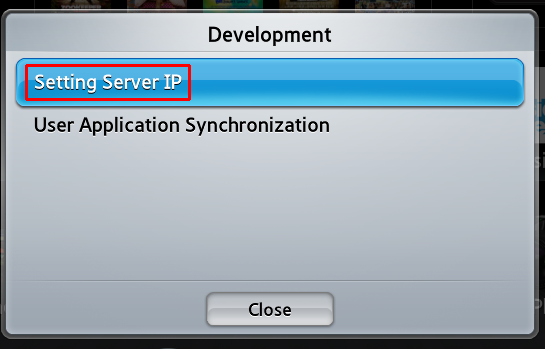 Select Development and choose the Setting Server IP option (see the figure below). In the boxes, enter the IP address of the web server that contains the packaged application. Press the Return button on the remote control. The information entered in the above steps is now saved in the TV memory. Turn the TV off and back on, and press the Samsung Smart TV button. Now, Smart Hub is displayed. Login to the “develop” account again by clicking the red button from the Smart Hub display. Select the “develop” account and enter the password you set earlier. 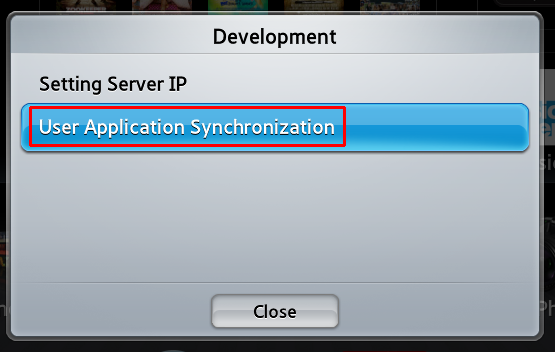 From the Development menu in Settings, select User Application Synchronization (see the figure below). 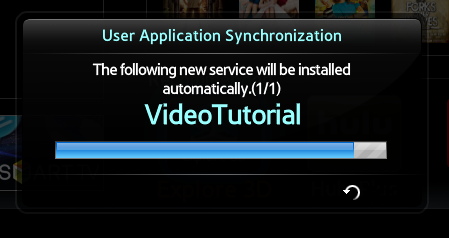 The TV indicates that it is installing a new service, and displays the name of your application (see the figure below). After the installation is complete, select Complete and press the Return key on the remote control two times to exit settings. If the installation was successful, a new application is available in Smart Hub (see the figure below). The application icon contains the text USER in the lower right corner on a red background (see the image below). To enter the application, select it and press the Enter key on the remote control. This action loads the index.html file in the TV web browser. Press the Return key on the remote control to return to Smart Hub display. 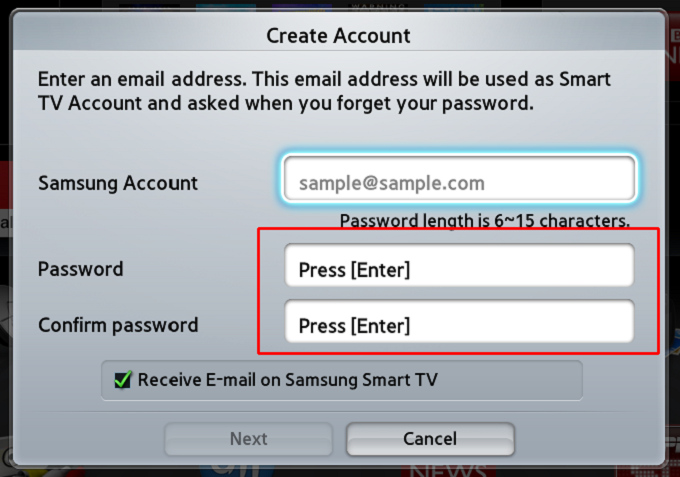 Press the Exit key to exit Samsung Smart TV (unless the key is handled by the widget and th API function blockNavigation has been used). 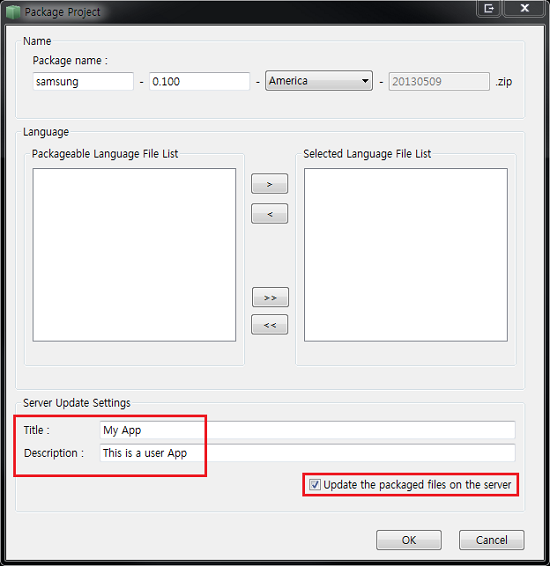 After further changes are made to the application using the SDK, package it again. Synchronize the TV with the server. After this, the updated application is available in Smart Hub for further testing. Connect the Ethernet cable and start the Samsung Smart TV. Login with “develop” ID and your password and enter Settings. Look for Edit Mode menu below and push the yellow button. Choose the user application that you want to delete and press the Enter button.